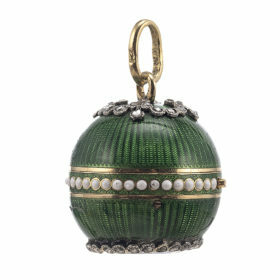 This Tiffany & Co. enamel ball watch combines the artistry of jewelry design and the functionality of timekeeping. 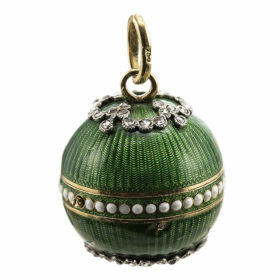 This unique pendant watch is crafted of 18K gold and vibrant green engine turned enamel. 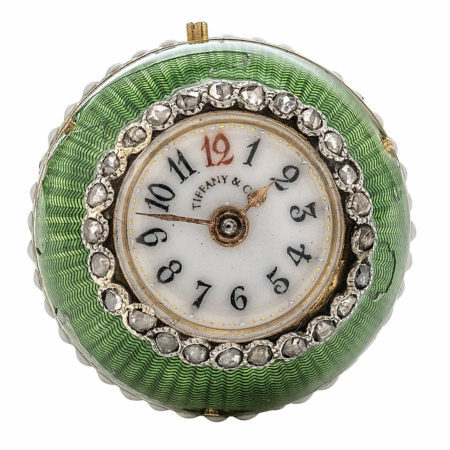 The watch face cleverly highlights the 12th hour in red for easy readability. 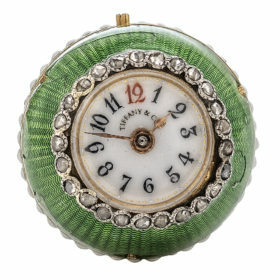 This ingenious timepiece houses a high grade hand made movement, and a twist bezel wind.